Welcome! Learn how to reverse self-defeating beliefs & thinking habits that are sabotaging your happiness & well-being! SHIFT INTO A NEW LIFE TODAY! START LIVING YOUR DREAMS NOW with mind shifting tools. The beliefs you hold impact every aspect of your life—your financial success, your relationships, even your health and fitness. And our collective beliefs determine the fate of the world in which we live. 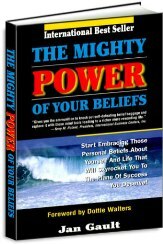 When you learn how to transform limiting beliefs to empowering beliefs you position yourself for prosperity and happiness. Beliefs trigger emotions and prompt actions. Your beliefs and thoughts are real and attract the events in your life. To change your life, you need first to begin changing your beliefs and thoughts. As empowering beliefs become more dominant in your mind, actions are prompted toward the life for which you were intended—inspired, joyous and fulfilled. 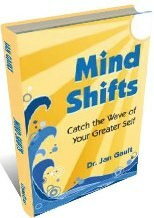 Empowering beliefs will help you shift your life in the direction you truly desire. MAKE THE CHOICE TO START LIVING YOUR DREAMS NOW! "The thing always happens that you really believe in, and the belief in a thing makes it happen." *Your privacy is important! Information is never sold or shared with others. Dream The Life & World You Desire Then Create It!